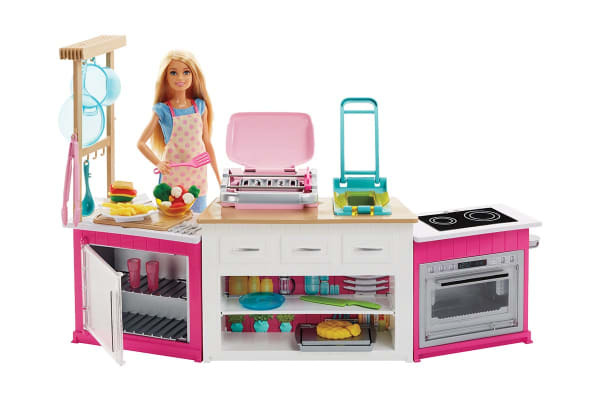 The Barbie Ultimate Kitchen Playset, with working features and amazing accessories, provides kids with all the ingredients they need to prepare delicious dishes, from simple snacks for one to gourmet dinners for family and friends! 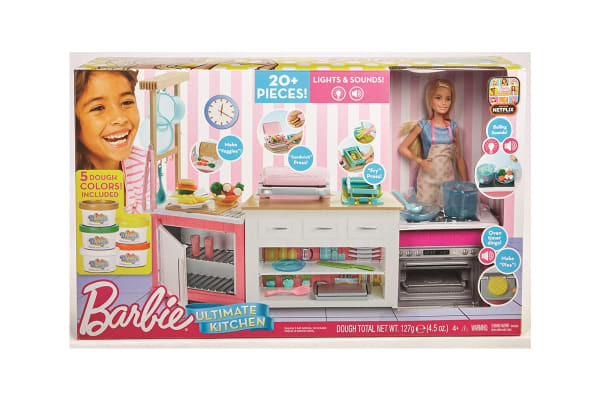 The Barbie Ultimate Kitchen Playset includes Barbie chef doll, kitchen counter, appliances, cooking and dining utensils and five different colours of dough to make food items. 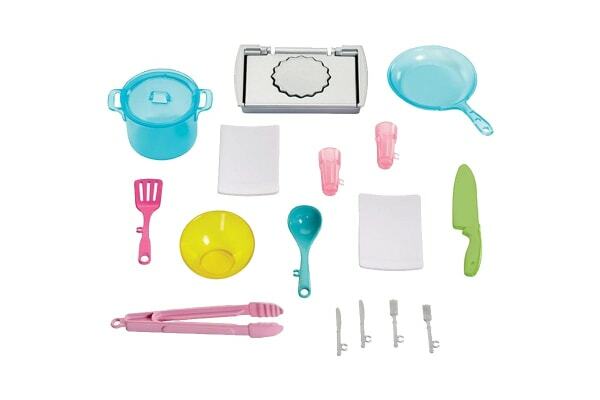 Lift up the cutting board to reveal vegetable moulds, fill with dough; press down and lift up to reveal veggies that Barbie doll can slice and dice with her knife. To make the perfect sandwich, fill the sandwich maker mould with dough. Cook up a side of fries, drop the yellow dough into the fryer, press the handlebar down (hear the sizzle!) and watch as the perfect batch of fries emerge. Don’t forget the dessert; simply place the dough into the pie baking sheet mould and slide into the oven. Press the button and listen for the ding! 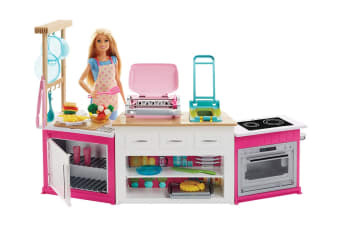 Barbie doll is ready to cook and serve in a chef apron and shoes.